So great the climate of Europe changed, that in Northern Italy, gigantic moraines, left by old glaciers, are now clothed by vine and maize. The Arctic flower Dryas octopetala now lives in cold climate zones of high Northern Hemisphere latitudes. During frigid climates of the past glacial period about 20 ka, when ice sheets covered Scandinavia, northern Germany and much of the British Isles, D. octopetala lived far south of its modern geographic range. Like other plants whose pollen settles in sediments in bogs and lakes, D. octopetala is a telltale relict of glacial-age climates in temperate latitudes. As solar insolation rose and climate warmed about 15 ka, D. octopetala's habitat shifted northward, and it disappeared from Quaternary European palynological records, replaced by pollen of taxa indicating warmer climates. Jensen (1935) named this climatic warming the Allerod pollen zone from his study of pollen from Allerod, Denmark. A sudden, inexplicable change then occurred in the vegetation record of Denmark. Jensen (1935) found a surprising reappearance of D. octopetala, at approximately 12.5 ka, during a brief period sandwiched between the preceding Allerod and the succeeding Preboreal periods. The return of D. octopetala to Europe is a widespread regional event that has come to be called the Younger Dryas stadial (Mangerud et al. 1974), a climatostratigraphic term that signifies a partial return toward glacial conditions. For decades, this abrupt climatic reversal engaged the attention of only a relatively small group of glacial geologists and palynologists trying to unravel the glacial-interglacial transformation. Recently, though, the Younger Dryas had occupied center stage for a new generation of paleoclimatologists who seek to understand its cause. The Younger Dryas is perhaps the single most researched paleoclimate event of the past decade, certainly for the Quaternary, and a symbol of the dynamic nature of earth's climate. How did the Younger Dryas emerge from relative obscurity to impart a new identity to paleoclimatology and lead to a paradigm shift in how many scientists view climate change? One major impetus was the paper by Wallace Broecker and colleagues (1985) proposing that the Younger Dryas represents more than a recolonization of Europe by an Arctic flower but a global climate event triggered by changes in North Atlantic ocean temperature and salinity that altered global oceanic circulation with climatic repercussions around the world. Seizing upon advances in modern and glacial-age ocean circulation and chemistry (e.g., Broecker 1982), Broecker proposed his "conveyor belt'' theory to explain millennial-scale climatic events during glacial periods. Today the warm North Atlantic Drift provides about 30% as much heat to the North Atlantic and Europe as does direct solar insolation, because wintertime cooling of surface waters causes them to sink and form deepwater. This convective overturn drives deep-ocean circulation, which like a conveyor belt carries heat around the world. Broecker argued that a full or partial shutdown of North Atlantic thermohaline circulation and deep-water formation could lead to the Younger Dryas stadial by depriving Europe's atmosphere of its heat source. The cornerstone of Broecker's conveyor belt theory (a version also referred to as the "salt oscillator'' hypothesis, developed in later papers [e.g., Broecker et al. 1988a,b, 1989, 1990]) was that North Atlantic deepwater (NADW) was vulnerable to the influence of glacial meltwa-ter from the adjacent North American ice sheet. North Atlantic thermohaline circulation may have been affected when Laurentide Ice Sheet meltwater, which drained via the Mississippi River into the Gulf of Mexico about 15-12.5 ka, was suddenly diverted into the North Atlantic via the Great Lakes and St. Lawrence River, a route previously blocked by the retreating Laurentide Ice Sheet (Dyke and Prest 1987; LaSalle and Elson 1975; Cronin 1977; Hillaire-Marcel and Occhietti 1980; LaSalle and Shilts 1993; Rodrigues and Vilks 1994). The resulting decrease in surface salinity made North Atlantic surface water less dense and slowed down NADW formation in the Nordic Seas. Without deep-water formation pulling warm water from the North Atlantic Drift-Gulf Stream system northward from low latitudes, northern Europe would be deprived of the oceanic current that was its heat-source. D. octopetala and other cold-climate indicators could thus return to northern Europe. In the wake of Broecker's Younger Dryas hypothesis, paleoclimate orthodoxy was pushed aside as paleoclimatologists began to investigate ocean-atmosphere-ice links during climate changes that were too rapid to be driven by orbital insolation cycles (figure 5-1): Did thermohaline circulation shut off the transport of heat to northern Europe, triggered by meltwater export via the St. Lawrence River, catalyzing a series of global events linked through a deep-sea circulation conveyor belt (Teller 1990)? Was the Younger Dryas global in extent and if so, how strong was the signal outside the North Atlantic? Were climate oscillations during deglaciation synchronous in the Northern and Southern Hemispheres? What was the role of ice sheets and icebergs in thermohaline variability? 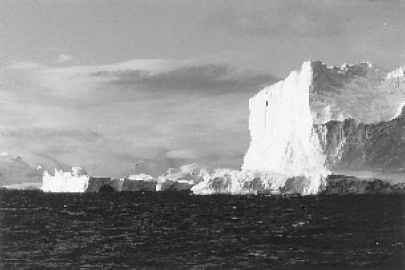 flGURE 5-1 Calving icebergs off Antarctica depict the role of ice in climate changes of the past 20,000 yr. Courtesy of J. Bernhard. climate records of deglaciation from Greenland ice cores (chapter 9). Research rapidly expanded into climatic instability during the glacial period preceding the Younger Dryas and during the last interglacial period, which has traditionally been viewed as a relatively stable, quiescent interval of global warmth. Together, this class of climate change is referred to as millennial-scale, or "suborbital,'' climate change. Millennial climate events are climate oscillations occurring over 1-10 ka that are sometimes quasicyclic in nature. 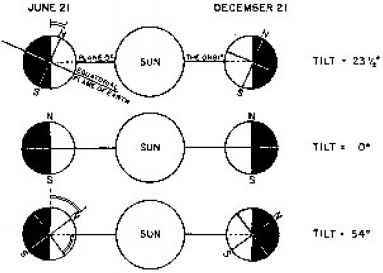 They can begin and/or end abruptly, within centuries or less, and include Heinrich events, Bond cycles, and Dansgaard-Oeschger Events, Younger Dryas and other oscillations. In this chapter I describe evidence for millennial-scale climate variability during three distinct climate states of the late Quaternary: (1) the late glacial-Holocene transition (between 20-10 ka, also called Termination 1 and marine oxygen isotope stage 2/1 transition), (2) the past glacial period (about 115-18 ka, including the past glacial stage known in North America as the Wisconsinan and in Europe as the Wurm or Weischelian glaciation), and (3) the past interglacial period (about 140-115 ka, the Sangamon of North America, the Eemian interglacial of Europe) and briefly the Holocene interglacial. Each period—deglaciation, glacial, and interglacial—signifies a fundamentally different set of climate boundary conditions (land- and sea-ice distribution, atmospheric circulation and chemistry, oceanic circulation, insolation) within which short-term climate change occurs. Thus the causes of millennial-scale climate change may differ during deglaciation, glacial, and interglacial climates. Each period harbors physical and biotic evidence for rapid climate change, such as that which inspired Charles Darwin's comments on the modern climate of formerly glaciated areas of northern Italy. Darwin's comments are taken from his perceptive discourse on Quaternary climate change and the dispersal capability of plant species in response to postglacial warming. They are among the earliest discussions of climatically induced biogeographic shifts in species distributions, such as that of D. octopetala, that we now use routinely in paleoclimatology. Before describing evidence for short-term climate variability within each climatic state, I wish to briefly accredit some early studies that form the foundation of contemporary research on rapid climate events. Until the past decade, millennial-scale climate change was overshadowed by discoveries of long-term climate cycles at the frequencies of orbital variations. In the introductory chapter to their excellent volume entitled Abrupt Climatic Change, Berger and Labeyrie (1987) noted how little paleoclimatologists appeared to know about climate change within the Holocene interglacial and that there was no satisfactory explanation for the Younger Dryas climate reversal. Most chapters in their book leave the reader with a sense that just a decade ago, the paleoclimatology of rapid events was in its formative stages. Nonetheless, early studies show that the geologic record held clues about brief, intense climate events. The seminal study of Quaternary oxygen isotope ratios from the Camp Century Greenland ice core by Dansgaard et al. (1971) found isotopic evidence for wide swings in atmospheric temperature over Greenland—as much as 5-10°C occurring in just a century. Quaternary beetles from England also provided strong evidence for rapid climate change. Russell Coope's (1977, see Elias 1994) classic investigations showed that beetles have ideal attributes for documentation of rapid climate change: evolutionary stability, species-specific morphological complexity, abundance in Quaternary organic silts, physiological constancy, and rapid response to temperature change. Coope combined beetle ecology and taxonomy with glacial geology to demonstrate rapid climate transitions during the late Quaternary, including a return of Arctic beetle species to the British Isles during the Loch Lomond stadial, the age equivalent of the Younger Dryas stadial. Coope's beetles showed summer temperatures dropped several degrees at the inception of the Loch Lomond and then rose again by as much as 8°C, apparently within a few centuries. Coope (1977) also found beetle assemblages reflected climatic oscillations in the older Weischelian glacial period of the British Isles in the Chelford, Upton, Warren, and Windermere interstadials. Rapid climate change also punctuated the North American Wis-consinan and the European Weischelian glacial stages. For example, glacial stratigraphy in the eastern Great Lakes and St. Lawrence Valley of the United States and Canada reflects a dynamic, oscillating Laurentide Ice Sheet margin, represented by alternating glacial and nonglacial deposits like loess, lake sediments or peat (Dreimanis and Karrow 1972). The Port Talbot, Plum Point, Erie, Mackinaw, and North Bay Interstadials all testify to dynamic change within the glacial period caused by either climate change, nonclimatic ice sheet behavior, or both (Clark 1994). Outside North America and Europe, especially in the Southern Hemisphere, important precursors of recent studies laid the groundwork for the global search for the Younger Dryas and other millennial-scale events (see Suggate 1990). In the previous chapter, we saw that large-scale oscillations between two end members of global climate—glacial and interglacial modes—have characterized the earth for the past few million years. Before discussing the possible causes of millennial-scale change within a glacial period, a glacial-interglacial transition, or an interglacial period, I must first describe the boundary conditions that distinguish the glacial state from our current interglacial period. Glacial periods had colder global mean annual temperatures (about 5°C average). In some areas such as the North Atlantic Ocean and adjacent continents, sea-surface and atmospheric temperatures decreased a full 10°C. Large, mid-latitude lakes appeared owing to higher regional precipitation. Equatorward shifts in the geographic distribution of cold-loving species of terrestrial plants, vertebrates (mainly mammals), invertebrates (beetles, mollusks), marine plankton, and benthos occurred. Glacial intervals experienced a different mode of deep-ocean circulation in which there were altered deep-sea nutrients, temperature, and chemistry. Glacial periods also had increased aridity in subpolar regions, higher atmospheric dust content, lower concentrations of atmospheric CO2, CH4, and other gases, and different quantities of various acidic and alkaline chemical species. Finally, glacial periods are naturally also characterized by large mid-latitude ice sheets, a point upon which we need to elaborate in order to understand millennial climate change. Geologists sometimes use the term glacial periods somewhat informally to refer to extended periods in the geological record when there was abundant continental ice in at least some regions. Long-term periods of glaciation include the late Ordovician, the Carboniferous-Permian, and the post-Eocene part of the Cenozoic (Crowley and North 1991; Frakes et al. 1992). The climate during these periods was generally colder that that of the intervening periods. Pre- to Late-Cenozoic continental ice sheet history is beyond the scope here; henceforth, I will limit my discussion to late Cenozoic glacials. In the Cenozoic, a substantial amount of Antarctic polar ice has existed since at least the Oligocene (about 35 Ma [e.g., Matthews and Poore 1980]); and in Greenland and Arctic regions since at least the late Miocene (Jansen and Sjoholm 1991). The late Cenozoic is thus widely viewed as a glacial period compared with the relatively warm Eocene or mid-Cretaceous. fIGURE 5-2 Major late Pleistocene ice sheets in the North Atlantic region. Dark line shows approximate extent of ice during last glacial maximum (LGM) about 20,000 yr ago; dark area shows approximate Laurentide Ice Sheet thickness during deglaciation about 16 ka (14 14C ka). Courtesy of P. Clark and American Geophysical Union. Modified from Clark et al. (1996a). south and northward from its center of growth near Hudson Bay; its southern margin stretched from the northern Great Plains of the mid continent to the continental shelf off New England and the Canadian maritimes (figure 5-2). The Canadian Arctic Islands were covered by the Innuitian (or Franklin) Ice Sheet, Greenland by a slightly larger ice sheet that the modern one. The Cordilleran Ice Sheet stretched along the western backbone of North America from the Pacific northwest to southeastern Alaska. In Europe, the Fennoscandinavian Ice Sheet centered on Scandinavia and mainland Europe, the British Isles Ice Sheet on part parts of the British Isles, and the marine-based Barents Ice Sheet along the northern border of the Fennoscandinavian Ice Sheet. Ice sheets are important in climate change for many reasons. Imbrie et al. (1992, 1993a) and Alley (1995), among others, have postulated that large ice sheets play a key role in orbital-scale climate change by amplifying the climatic effects of solar insolation variability. Large ice sheets are also so thick that they can change regional atmospheric circulation simply by blocking the large-scale circulation of atmospheric air masses (Manabe and Broccoli 1985; Kutzbach and Guetter 1986; COHMAP 1988). Ice sheets also increase the total reflected radiation from earth's surface, and these ice-albedo effects are thought to cause a positive climatic feedback. On shorter time scales, large continental ice sheets can amplify or even trigger millennial-scale climate events, especially through iceberg discharge from marine-based ice sheet margins or through melt-water discharge. Northern Hemisphere ice sheets ringed the North Atlantic and Nordic Seas where they could potentially influence oceanic conditions in this manner. Ice-sheet meltwater discharge is a basic tenet of Broecker's salt oscillator hypothesis to explain the Younger Dryas reversal during the past deglaciation. During full glacial conditions, the interplay between the Laurentide Ice Sheet margin and the ocean in the Hudson Strait region of eastern Canada may have led to a process of ice-sheet drawdown through ice streams that calved numerous giant icebergs that drifted eastward across the North Atlantic, cooling and freshening ocean surface waters. Iceberg calving and melting from a dynamic but relatively small part of the Laurentide Ice Sheet margin are the predominant feature of Heinrich events, the rapid deposition of ice-rafted debris (IRD) across much of the subpolar Atlantic (Bond et al. 1992, see below). Sea ice is also a critical part of the climate system with regard to rapid climate Quaternary change (figure 5-1) (Peltier 1993). Sea ice influences climate by reflecting solar radiation, altering deep-oceanic convection in high latitudes, decreasing heat exchange between the ocean and atmosphere, cooling the adjacent continent, altering surface-ocean productivity by photosynthetic algae, and changing atmosphere-ocean carbon fluxes. Sea ice that originates from fresh water continental ice-sheet sources, such as Northern Hemisphere ice sheets, forms icebergs that upon melting decrease surface salinity and slow thermohaline circulation. Sea ice formed from frozen seawater in much of the Arctic (Aagaard et al. 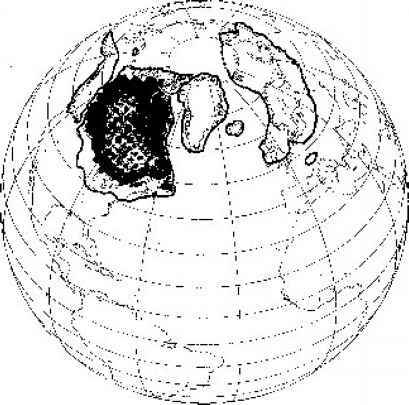 1985) and the periphery of Antarctica affects ocean circulation through a process called brine rejection. Brine rejection may occur when sea ice forms and upper layers of the ocean become saltier and heavier, leading to deep-water formation. This process is seen an important mechanism in the Northern Hemisphere deep-water circulation budget (Aagaard and Carmack 1989; Rudels and Quadfasel 1991). During the last glacial maximum (LGM) and deglaciation, dynamic changes in sea-ice distribution in the Nordic Seas (Jansen and Bjorklund 1985; Sarnthein et al. 1994; Koc and Jansen 1994) and the Arctic (e.g., Stein et al. 1994; Cronin et al. 1995, 1996) occurred. This brief summary should give a glimpse of glacial-age boundary conditions and an idea of the importance of continental and sea-ice relevant to the following discussion of millennial climate change. The Younger Dryas cold snap occurred between about 12.5 and 11.5 ka throughout Europe, the North Atlantic Ocean, and eastern North America (figure 5-3) (Kennett 1990). Whether this event was also represented globally is a question that has persisted for more than three decades. Recent paleoclimate evidence, derived largely from high-resolution sampling efforts, shows that the Younger Dryas—and other rapid climate events—punctuated the deglacial period of most continents and oceanic regions. Although they are seldom of equal magnitude or precise chronology to Younger Dryas-like events recorded in the North Atlantic theater, rapid climate shifts during glacial-interglacial transitions are a characteristic feature of earth's climate. A brief review of the evidence from land and oceans follows. 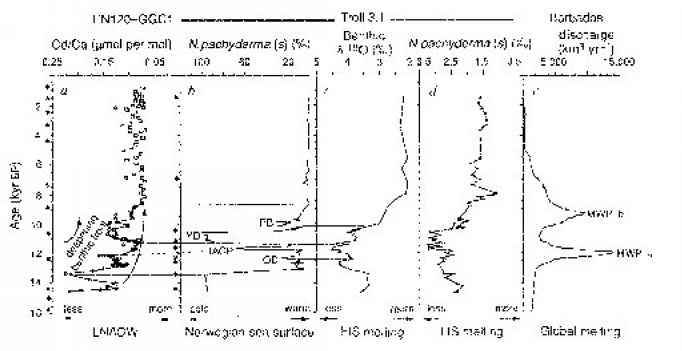 fIGURE 5-3 Rapid climate and sea-level changes during the past deglaciation showing relationship between the Younger Dryas (YD) record of deep-sea Lower North Atlantic deep water (LNADW), Norwegian Sea surface water (proxy: Neogloboquadrina pachyderma), ice-sheet melting (S18O and N. pachyderma), and Barbados coral isotopic record of meltwater pulses (MWP1a, 1b). Cd:Ca ratios reflect changes in lower North Atlantic deep water. LIS = Laurentide Ice Sheet; FIS = Fennoscandanavian Ice Sheet; PB = Preboreal; IACP = Intra-Allerod Cold Period; OD = Older Dryas. Courtesy of S. Lehman with permission from Macmillan Magazines. From Lehman and Keigwin (1992). Oldest Dryas (cool), Boiling (warm), Older Dryas (cool), Allerod (warm), Younger Dryas (cold), and Preboreal (early Holocene, warm) (figure 5-4). The Bolling and Allerod are often lumped as a single interstadial event when the stratigraphic resolution precludes recognition of the Older Dryas. Early evidence for a climate reversal during deglaciation came from the continental record of fossil pollen (e.g., Jensen 1935; Iversen 1954). Mangerud et al. (1974) and Larsen et al. (1984) reviewed the Younger Dryas in Europe and referred to it as a climatic event—a stadial—based on evidence from stratigraphy, glacial geology, and pollen biozones. The vegetation changes during the Bolling-Allerod-Younger Dryas and the Younger Dryas-Preboreal transitions were generally considered rapid and synchronous events across a wide area of Europe.